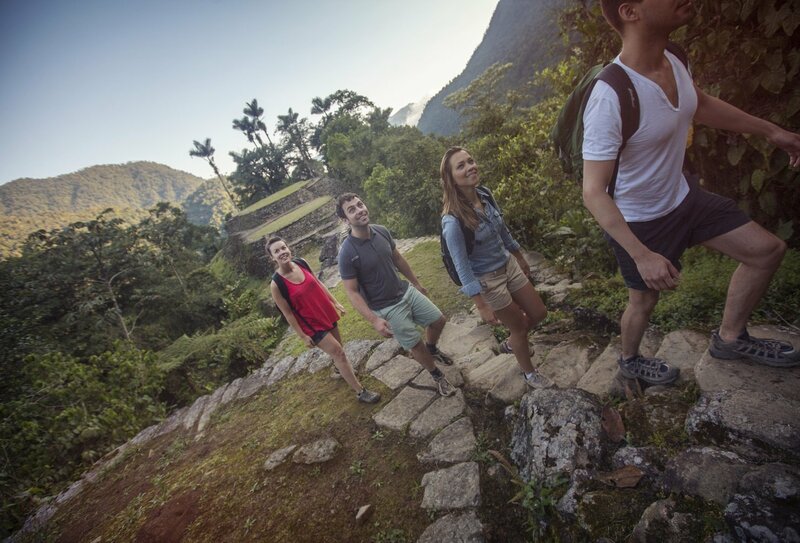 Step back in time on this ancient city trek! Camping accommodation and hot meals on the trek included! 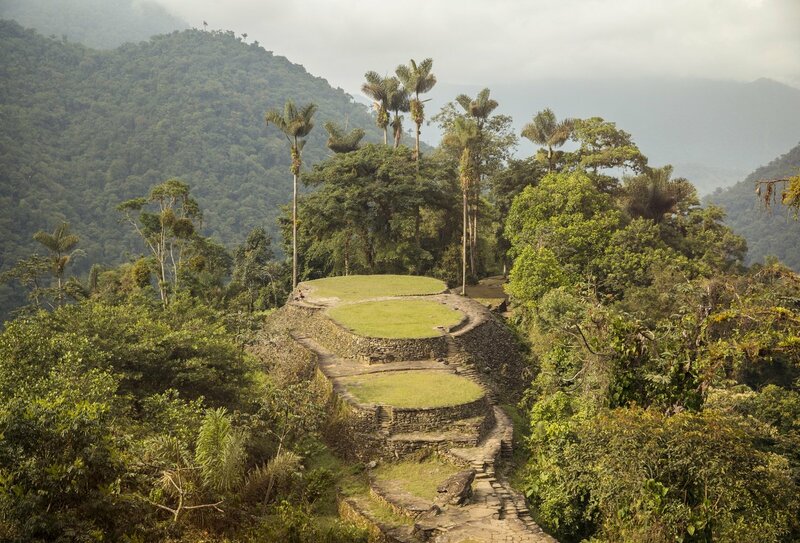 Venture into the unknown as you embark on an unforgettable hike to Colombia’s Lost City of Teyuna. Lost for centuries in the heart of the Sierra Nevada mountains, this incredible site is only just being discovered by travellers, and offers a glimpse into an untouched and long-forgotten past. 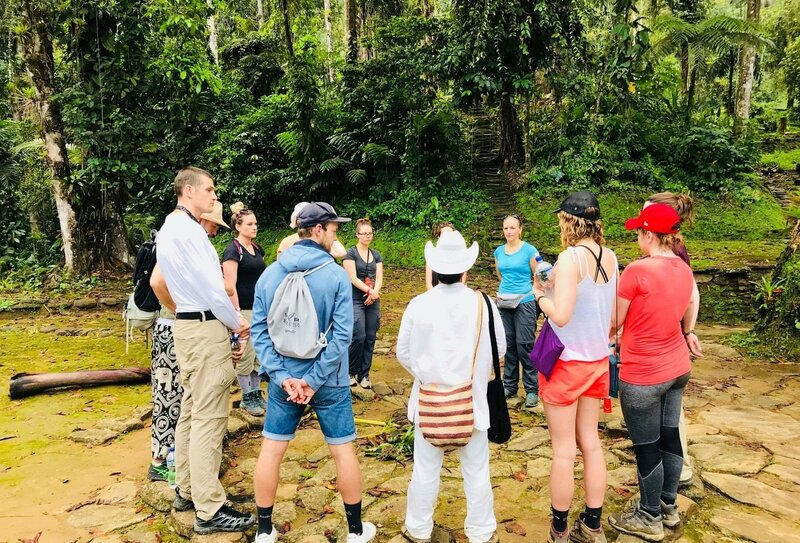 Accessible only by foot, you’ll journey through wild Colombian landscapes with an indigenous guide, crossing rivers and climbing mountain slopes as you push deeper and deeper into the jungle. You’ll explore the Lost City and bask in the incredible views of the surrounding countryside before returning to the modern world. This is a spectacular once-in-a-lifetime adventure! Touch down in Colombia and make your way to your starting accommodation in the city. Settle into the local way of life, and pick up any last-minute things you might need for the trek tomorrow. Then get some sleep – you’ll need all the energy you can muster for your epic 5-day hike! The trek begins today! 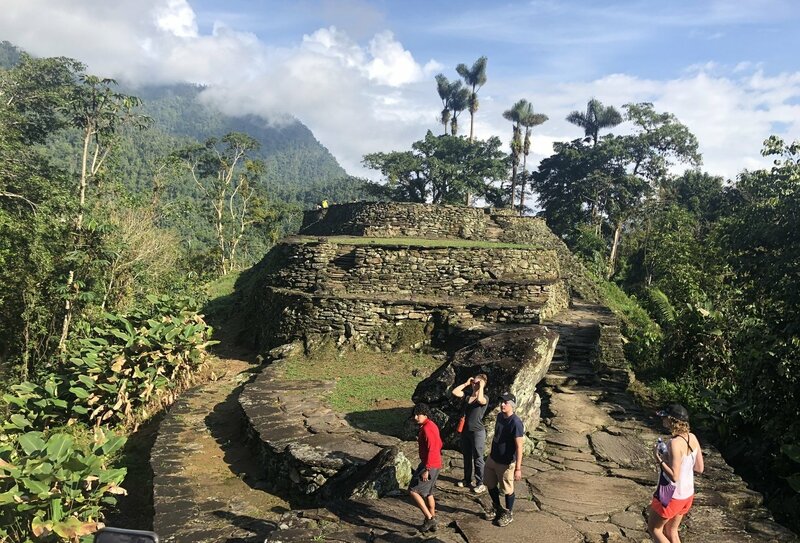 This morning we’ll transfer to Machete Pelao, the starting point for our trek to the Lost City of Teyuna, an ancient city that was founded in c.800. 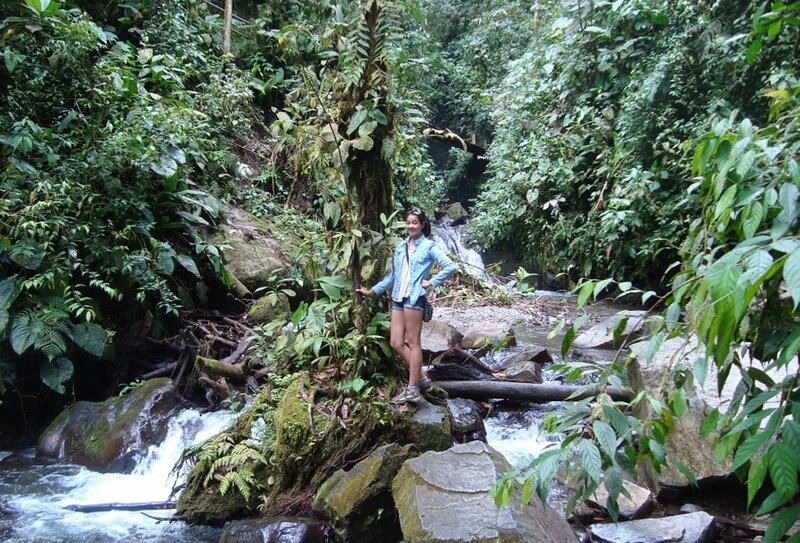 We’ll meet our indigenous guide, who’ll help us navigate through the jungle, and then we’ll set off. 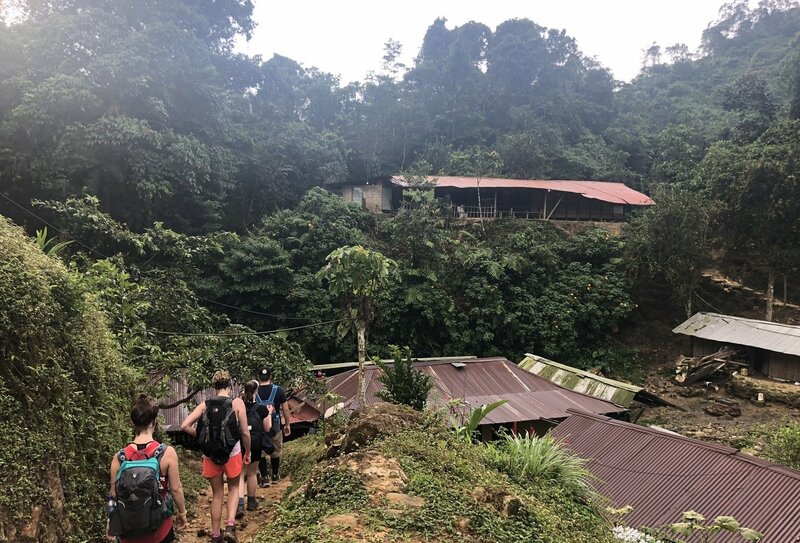 First, we’ll follow the Buritaca River, emerging among the circular huts of the Kogi people and making our way to our first campsite. Tonight, you can relax with a swim in the river or kick back and relax in a hammock! Watch the stars appear overhead and then bed down for the night. Breakfast, lunch and dinner included. Today marks the toughest part of the trek. We will hike along a steep incline as we follow the river deeper into ancient territory. Don’t worry though, we will take plenty of breaks and ensure we are all well hydrated! We arrive at the Teyuna Paraiso Camp this afternoon. 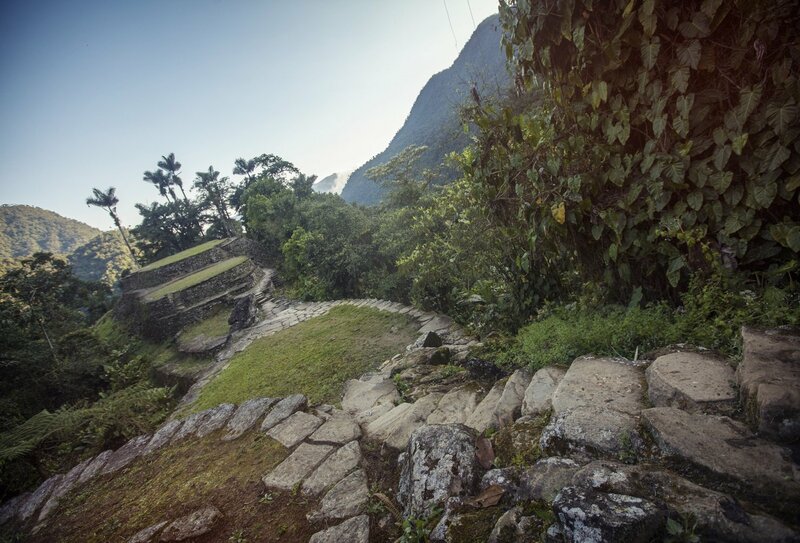 The Lost City is almost within reach! Breakfast, lunch and dinner included. 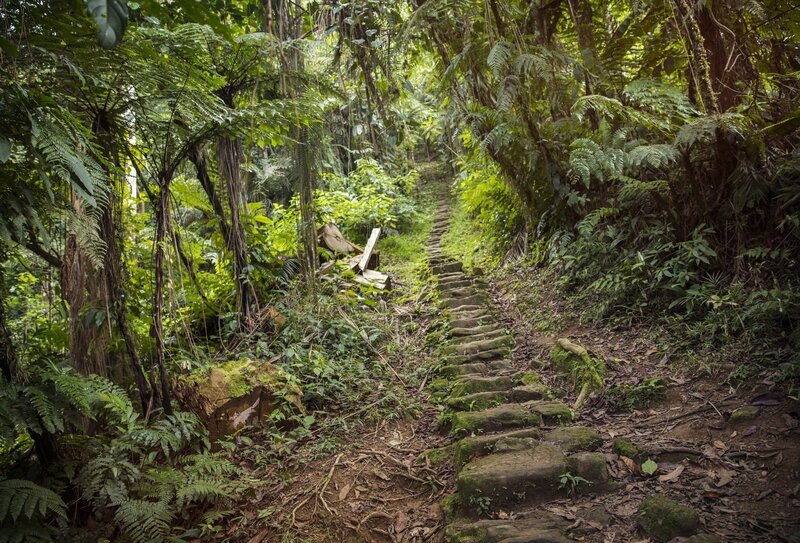 We rise early to climb the 1200 steps to the Lost City. The view is epic! The Sierra Nevada Mountains stretch into the distance and the ancient site stands before us, almost lost to the ravages of time. 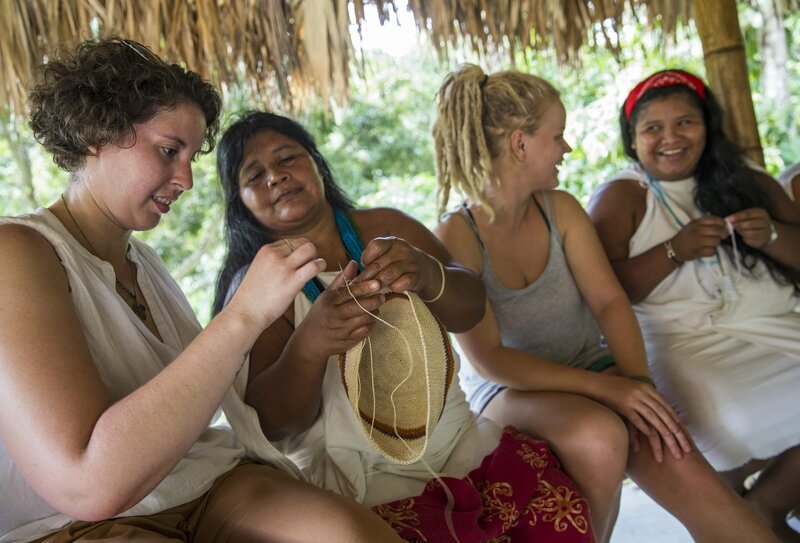 Built by the ancient Tayrona people, it is estimated that only 10% of the site has been discovered. We will have some time to explore the site and learn some more about the history of the city from a local guide. Then we’ll head back to camp for some chill-out time before heading back downhill to Wiwa Camp. Breakfast, lunch and dinner included. Our journey continues through thick jungle. 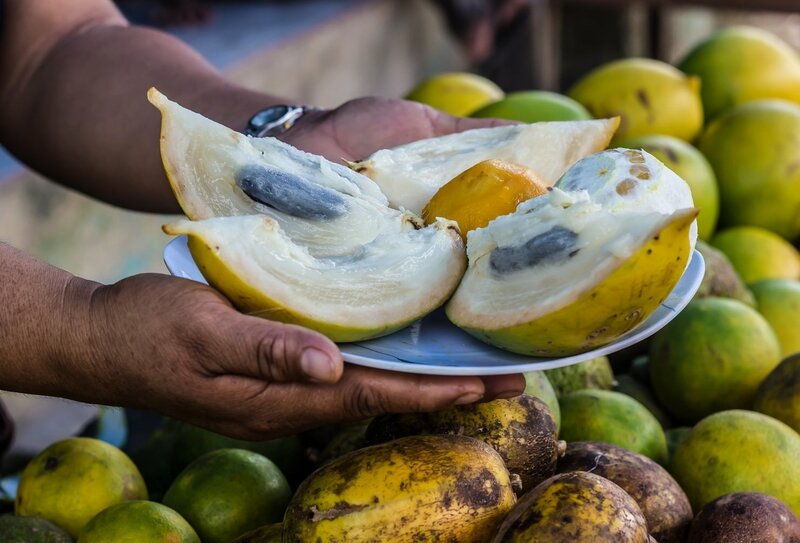 We pass beneath banana trees and wander among cacao plants. 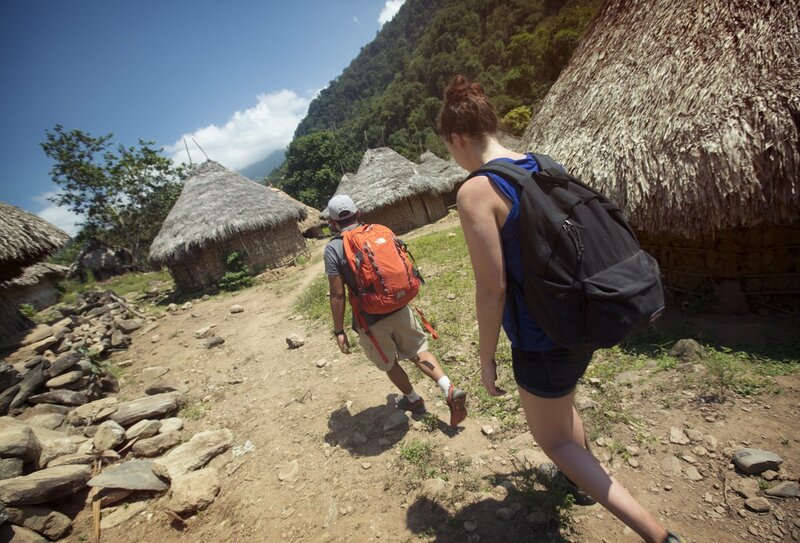 Our hike takes us through small Kogi communities and wild grasslands. We’ll stop off at Adán camp for a refreshing dip in the river and then continue uphill to Ricardito Camp, which offers beautiful views of the surrounding region. Take the weight off your feet and wait for sunset – it’s a sight that’s not to be missed. Breakfast, lunch and dinner included. Wake up to your final day of hiking. We walk across gentle grassy hills and wind through local villages as we make our way to a Gotsezhi community. 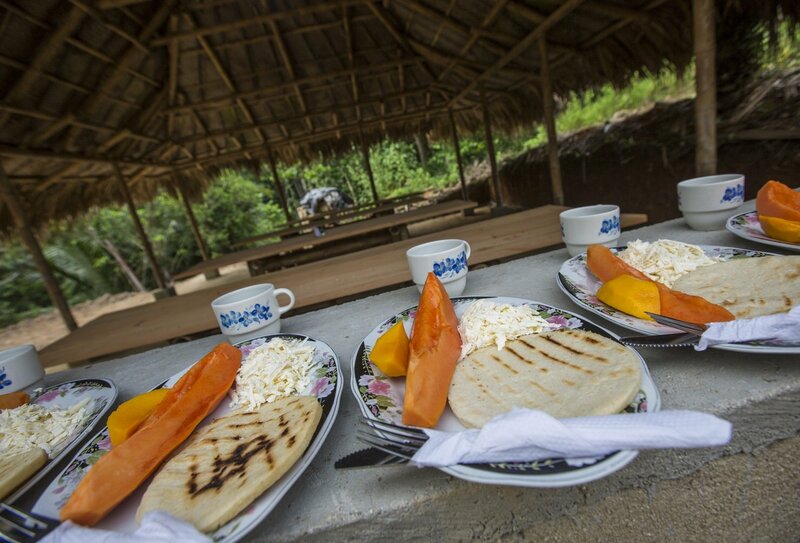 Here, we’ll meet with the local people and enjoy a meal prepared with local ingredients. 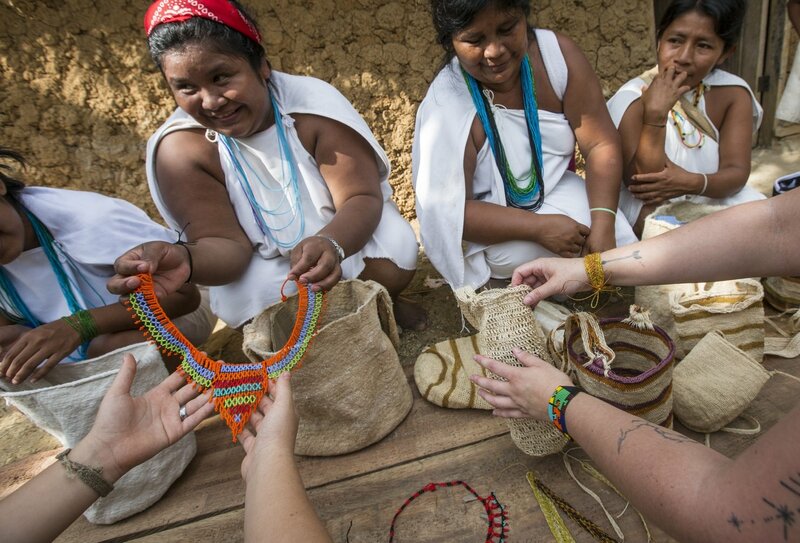 You’ll also experience a soul-cleansing ceremony and discover ancient customs and stories told by the villagers. 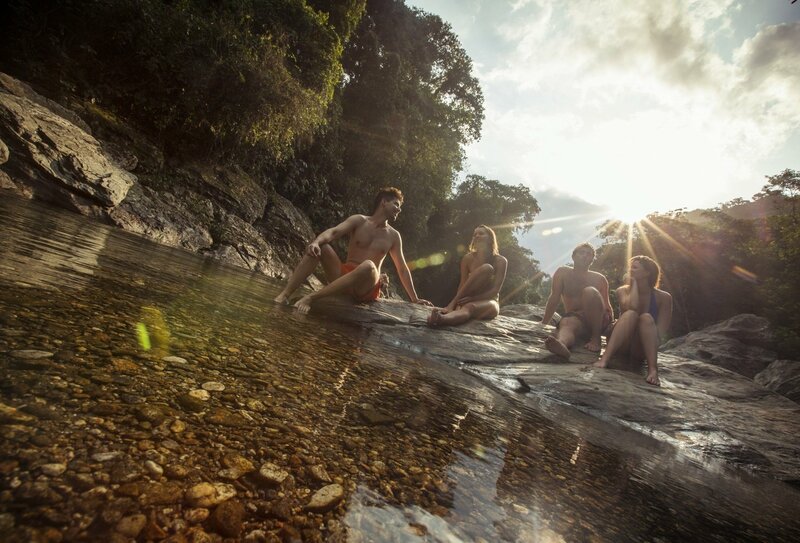 After lunch, you can spend some time relaxing in the river or walking to a local waterfall to bathe your aching muscles. 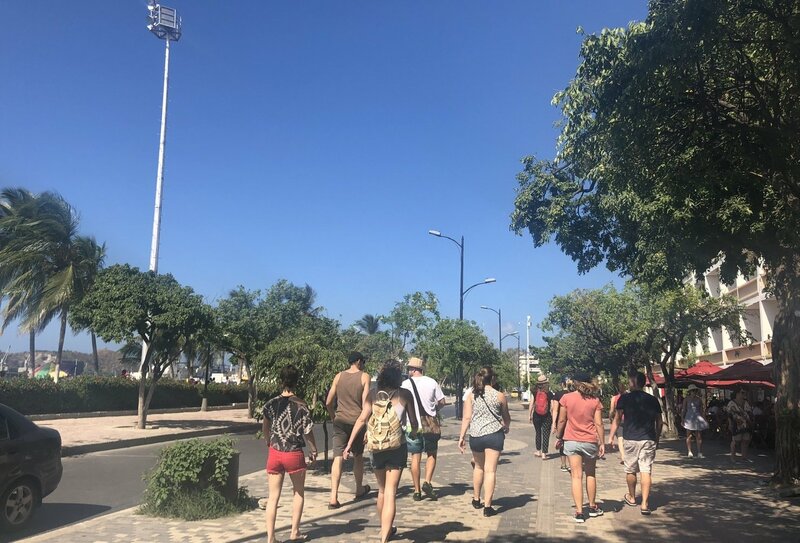 Then we’ll head back to Santa Marta, where you can go out for drinks to celebrate your achievement, or hit the hay for a much-needed early night! Breakfast and lunch included. The trip ends this morning in Santa Marta. 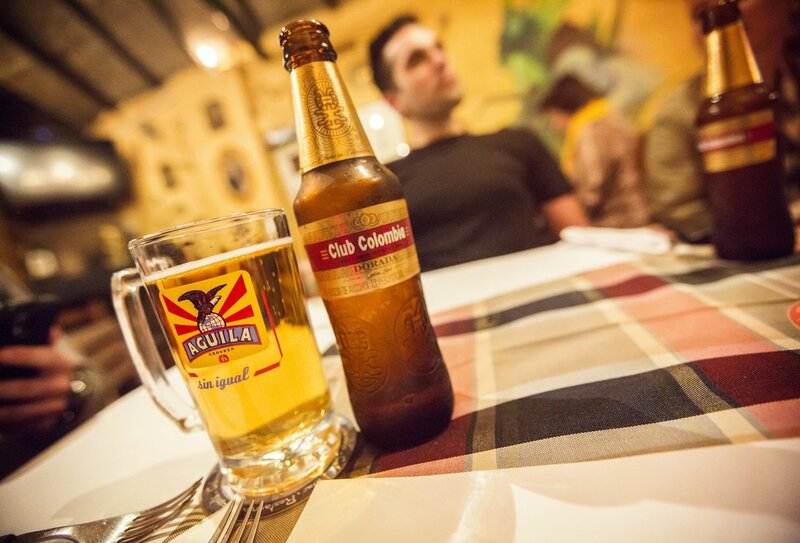 Head back to the airport or stick around to soak up some more Colombian culture. 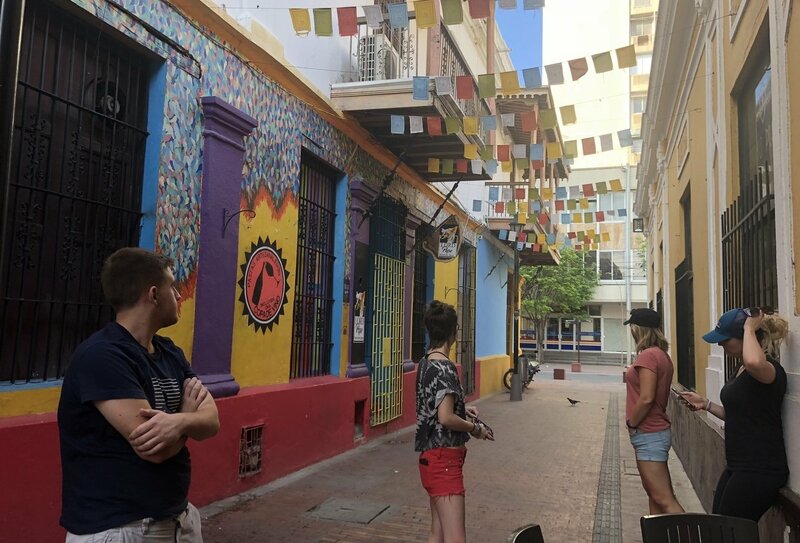 The Santa Marta gold museum is a must-see, while a visit to a former rum plantation offers a fascinating insight into local history. Breakfast included. 6 nights of accommodation are included on this trip. 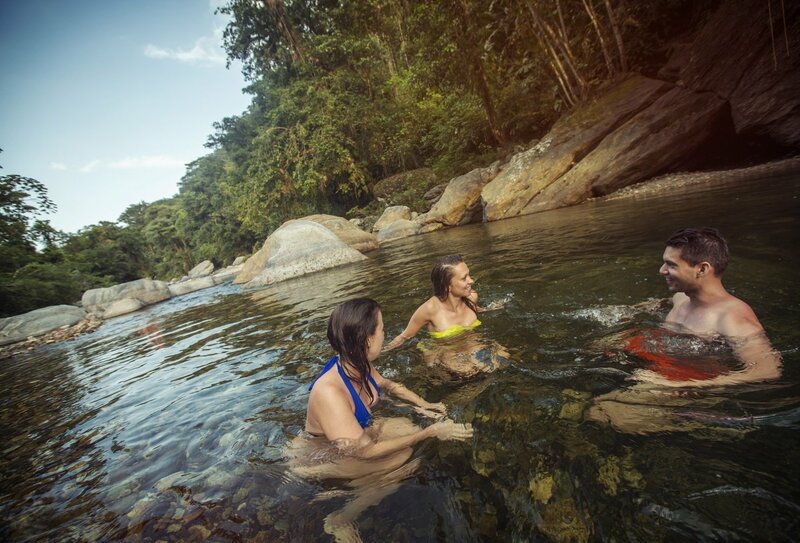 In Santa Marta, you will stay in a hotel, while on the trek you will stay at campsites in hammocks or bunks. 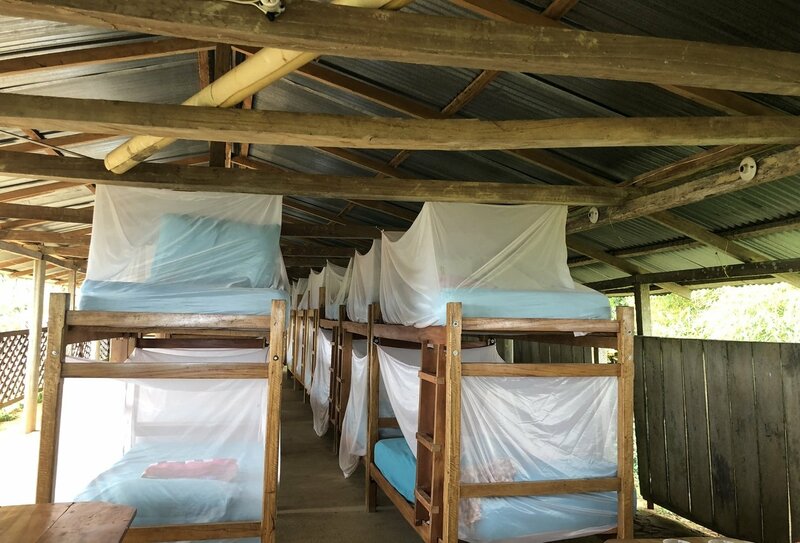 The campsites have cold showers, flushing toilets and mosquito nets. We do not recommend bringing a sleeping bag as you will be too hot. A sleeping sheet or sleeping bag liner will suffice. 6 breakfasts, 5 lunches and 4 dinners are included. All meals on the trek will be provided, but you may wish to pick up a few light snacks to keep you going between meals. Breakfasts will typically include juice, eggs, coffee or hot chocolate, and fresh fruit. Lunches and dinners will typically consist of rice and meat/fish with vegetables. A budget of US$70-90 is recommended for meals not included. 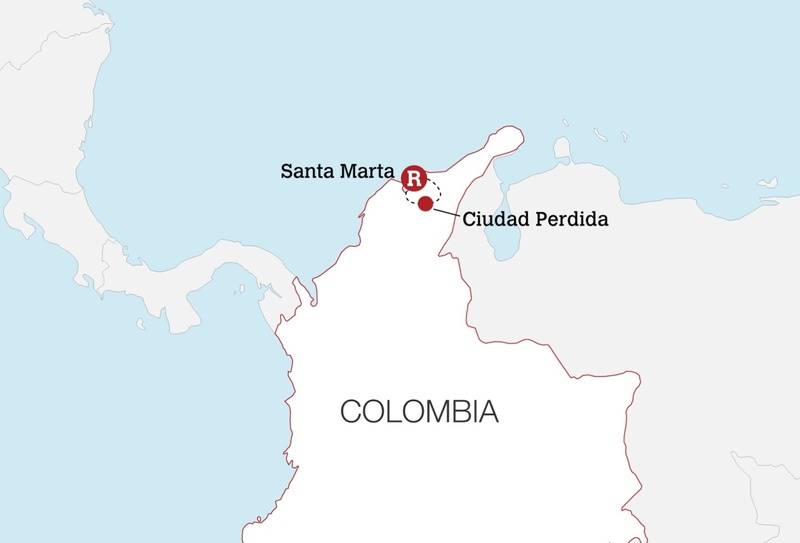 You should arrange your flight to arrive into Simon Bolivar International Airport in Santa Marta, Colombia (airport code SMR) on day 1 of your trip. You will then need to make your own way from the airport to your starting accommodation in the city. 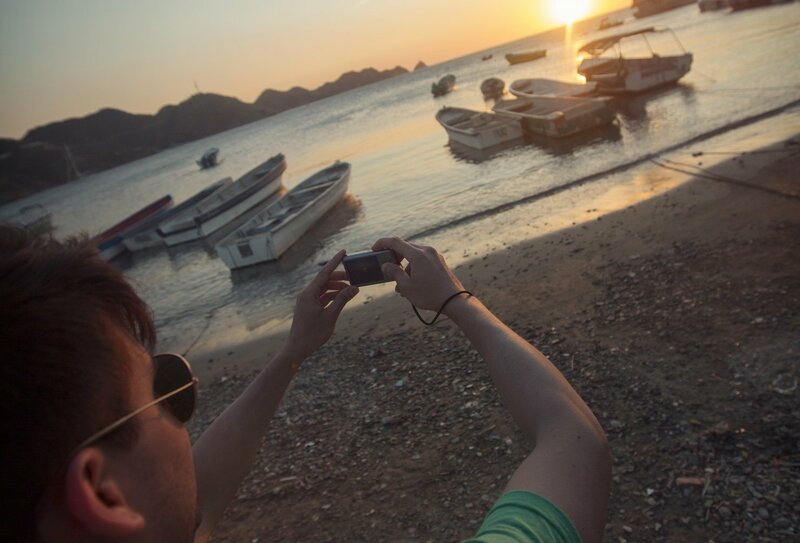 Your trip ends back in Santa Marta on day 7. Airport transfers are not included but are easy to arrange. The minimum age to join this trip is 18 years. Due to the physical nature of this experience, you will need good level of health and fitness to complete the trek. 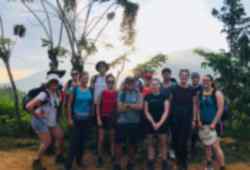 You will be hiking at altitudes of 3,937ft and the humidity and heat make some sections of the trek quite challenging. You will need to carry your own gear, so we recommend packing light. It is your responsibility to ensure you have the correct visas and travel documents for your time away. 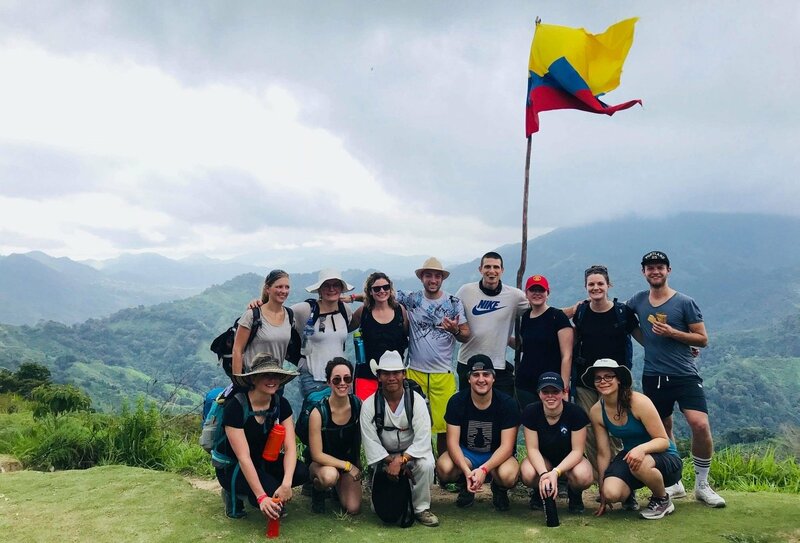 British citizens can currently enter Colombia for up to 90 days without a visa. Other nationalities may require a visa. Please contact your nearest Colombian Embassy for the most up to date visa information. Passports must have at least 6 months’ validity remaining when entering the country. Sections of the trek are challenging and, while you don’t need to be an Olympic athlete, you will need a good level of fitness. 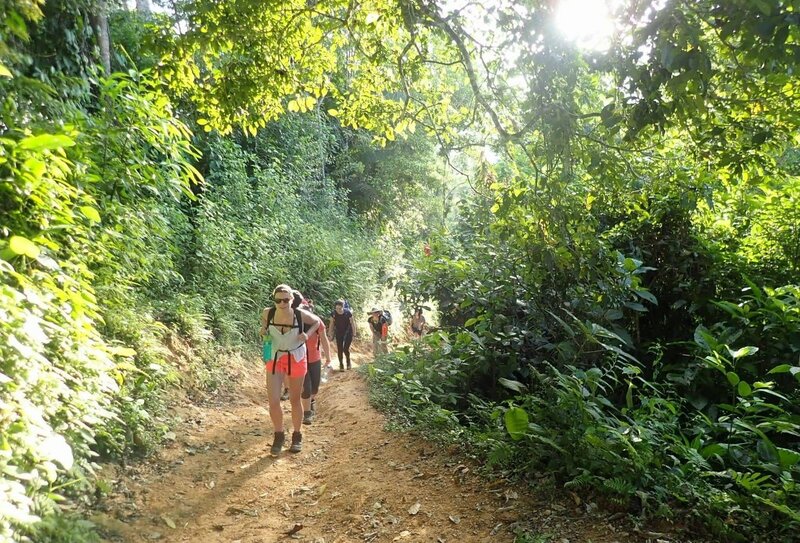 You will be hiking at high altitudes in hot and humid weather, and you will be carrying your gear on your back. Sometimes conditions can be wet and muddy. 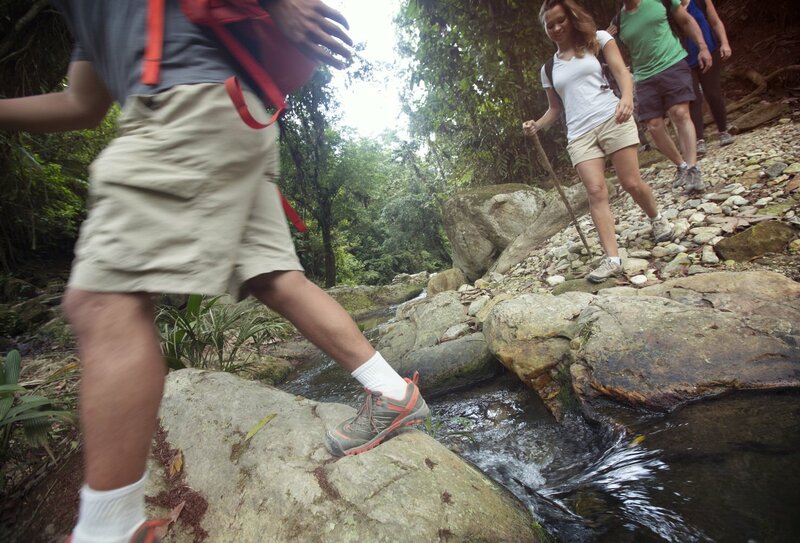 We recommend embarking on a few practice hikes before you depart to prepare for the trek. You can embark on this trek all year round. 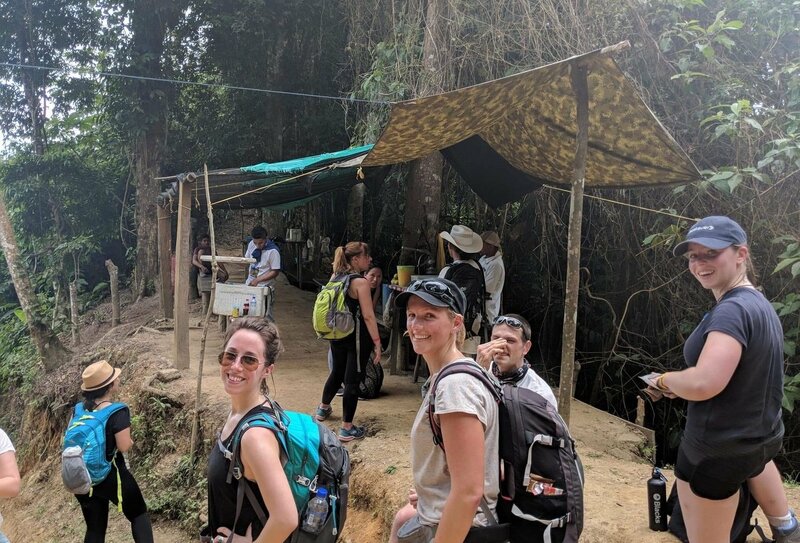 During the dry season (December – March) the trail can be dry and dusty, while in the rainy season (April-November), the ground can become slippery and the river crossings can see you up to your waist in water! For your hiking days, you will need a day pack to carry your clothes, sturdy hiking boots, comfortable walking gear, waterproofs, and a sleeping sheet, as well as toiletries and other essentials. You may also wish to bring walking poles to help you on the hike. You'll be provided with a full packing list after booking your trip. 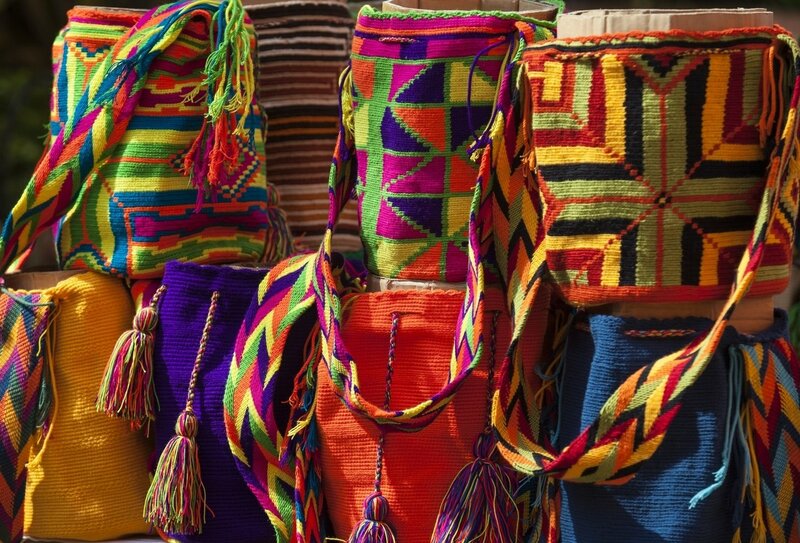 I’ve just booked on to the best of Peru, 2nd of June trip! Anyone else? Hello ???? 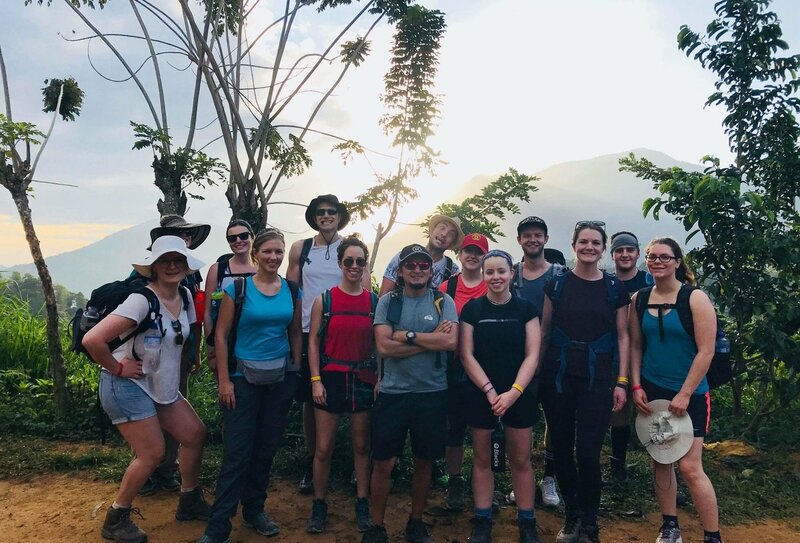 Is anyone booked to do the Machu Picchu jungle adventure for the 28th October? I’m going as a solo traveler and never done anything like this before!